Mint + Merlot & Lilac. A few other examples of how to wear this combo found here and here. I like that palette incorporates a a color that consider to be more of a spring or winter color along with your most expected fall tone, merlot. I didn’t get to wear this much last season but pulled it out with a smile on my face this year. I wore it to a friends bday party, it seemed perfect for this type of event. 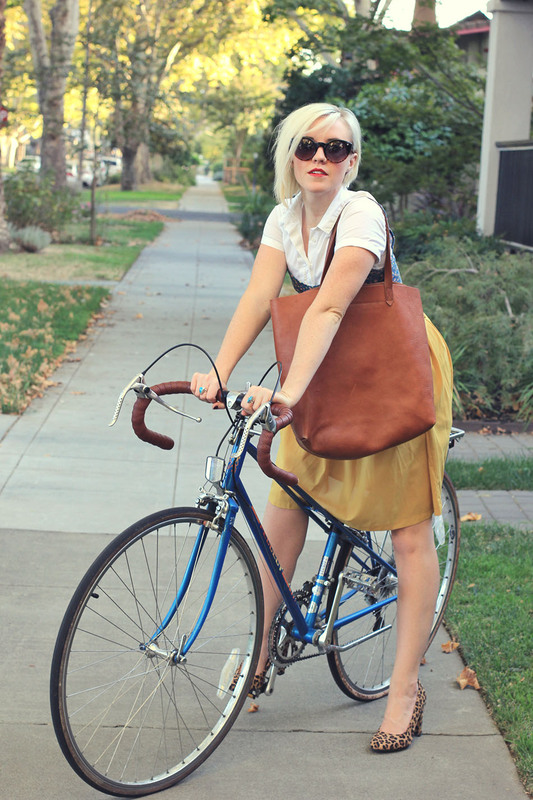 Here are a few other ideas on how to style fall floral dresses. Having a thick zip up sweater is a must. I’m wearing a tshirt underneath. A thick denim is also nice if you’re not ready for a thick coat just yet. Oh and this pattern? Ya I’m a pattern snob but this one meets ALL my design eye requirements. Job well done Zara. More examples of how to wear bold patterns. Keep those ankles showing when you have a full coverage outfit on this like this. A studded boot never hurt anyone either. More ways to style grey + floral with skirt, scarves, sweaters or scarves. OTK boots are definitely still here this season. So if you were hesitant last season there is still time! Other ways to style bold stripes here. 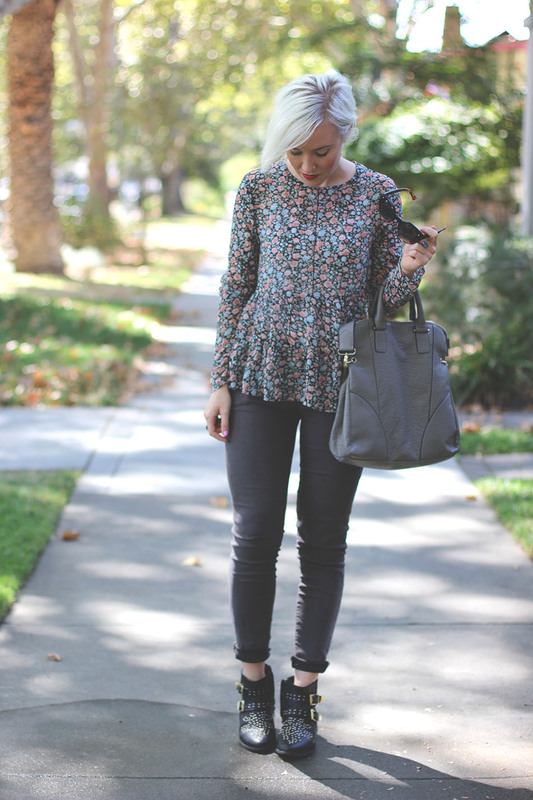 This feels fall only because of the dark floral top. Otherwise I would say out with it! I know pink and blue are more summertime but hey could go well in late September. You know it’s still plenty hot at that time. More ideas for bold colors combos. This is my favorite look of the bunch. It will easily roll into the winter months. Other ways to style this monochrome trend. I like this combo year round. It strikes me as a more early spring look but I’ll take it for far. More ways to wear this combo. Love this pairing. I don’t do it nearly enough. Why not add a loud patterned shoe? I wish I was still brave enough to wear that this year, my style has become much more subdued. Hope you enjoyed the wrap up from Fall 2014. Now let’s see what we have up our sleeve for 2015. I love the bold print look. Great compilation of trends.